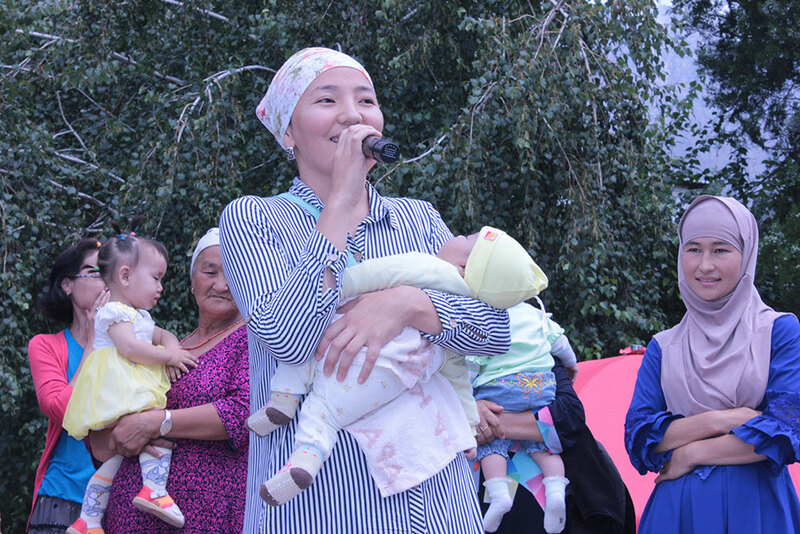 To commemorate World Breastfeeding Week 2016, SPRING staff in Kyrgyz Republic and community leaders in the town of Kara Kul, held a community gathering that connected local health workers and families to raise awareness around the multiple benefits of optimal breastfeeding practices, including exclusive breastfeeding for 6 months and continued breastfeeding to 2 years and beyond. 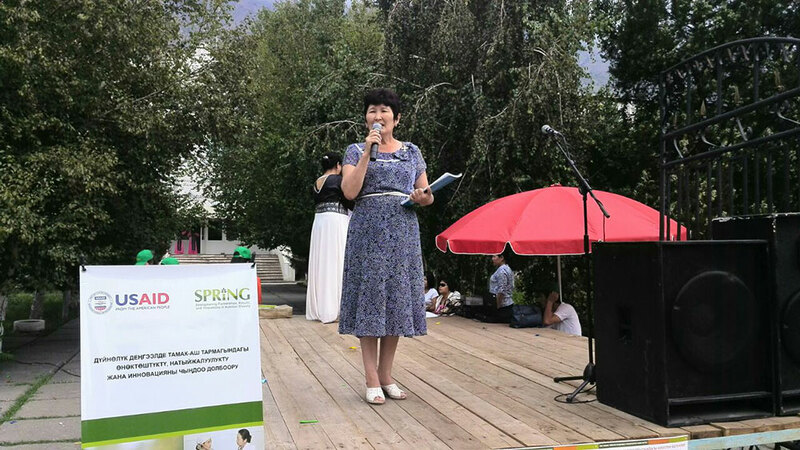 One hundred fifty people attended the celebration, which included speeches by the Vice Mayor of the town, the Chairperson of the local Women’s Committee, religious representatives, and a representative of the town’s Culture Center. 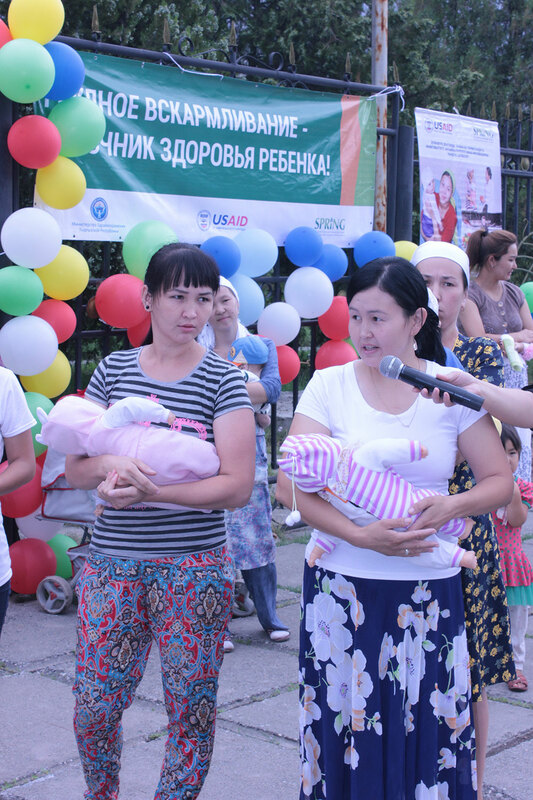 Participants then took part in exercises and quizzes about proper holding during breastfeeding, frequency of feeding, when to begin complementary feeding, and other questions around proper care and nutrition for infants. 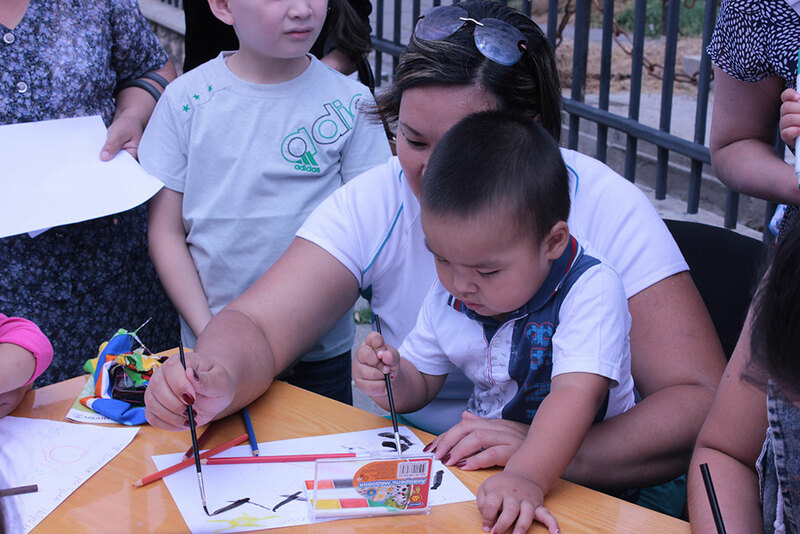 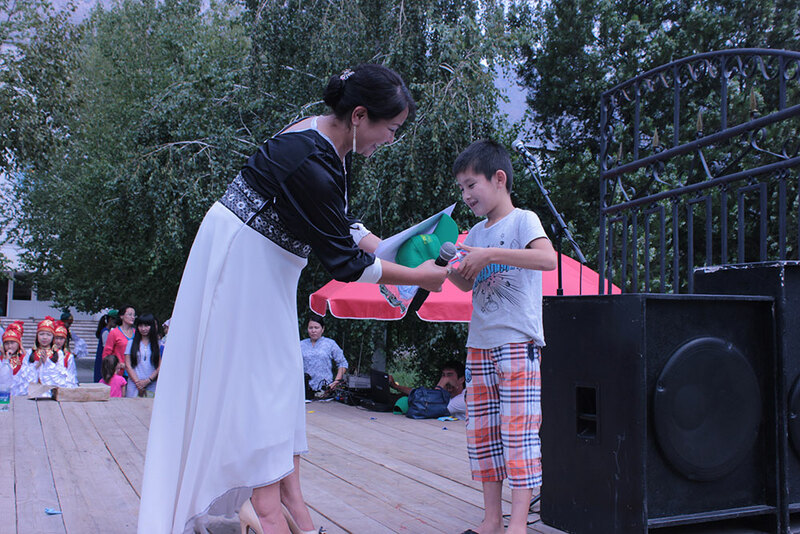 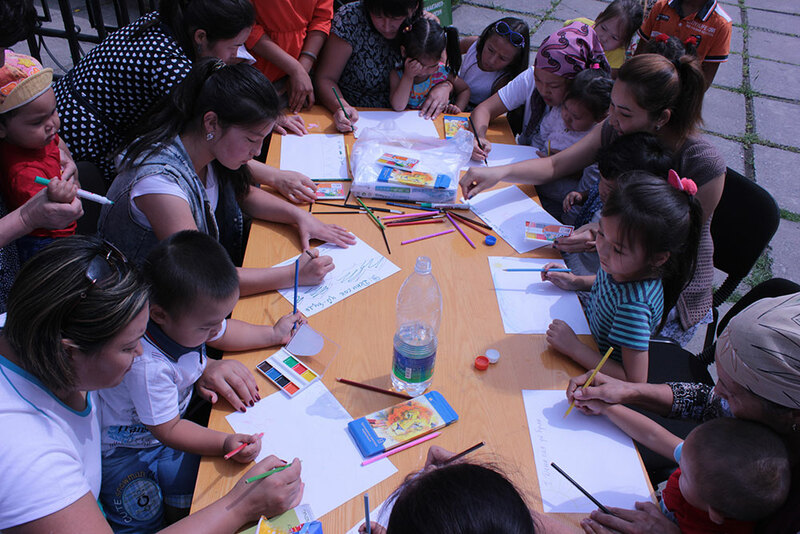 Several mothers and children within the group also took part in drawing and singing contests throughout the event. 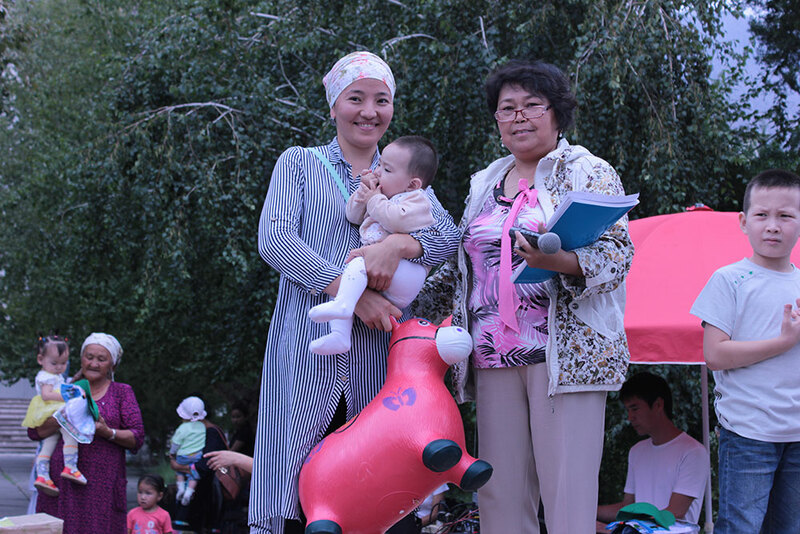 Following the event, attendees were invited to attend breastfeeding seminars being held throughout the week at the local Health Promotion Unit and General Medical Practice Center, where they could continue to ask questions and receive complete medical information. 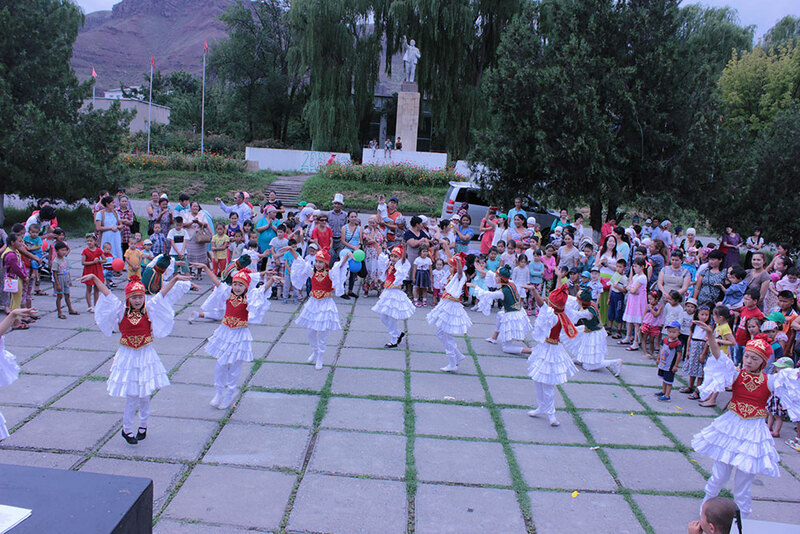 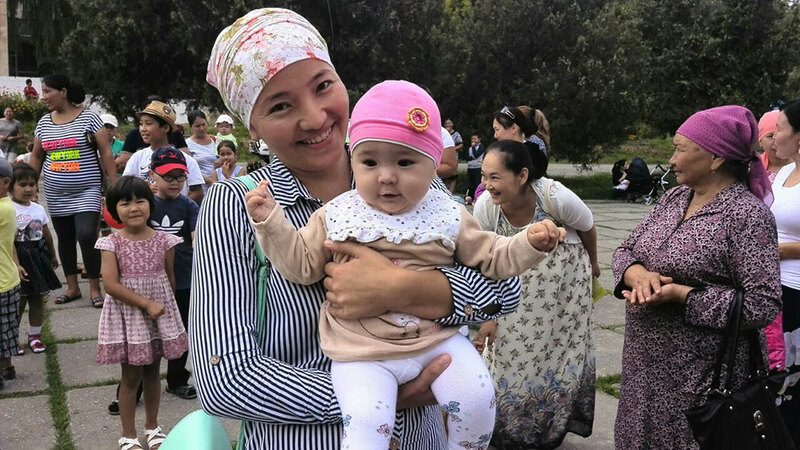 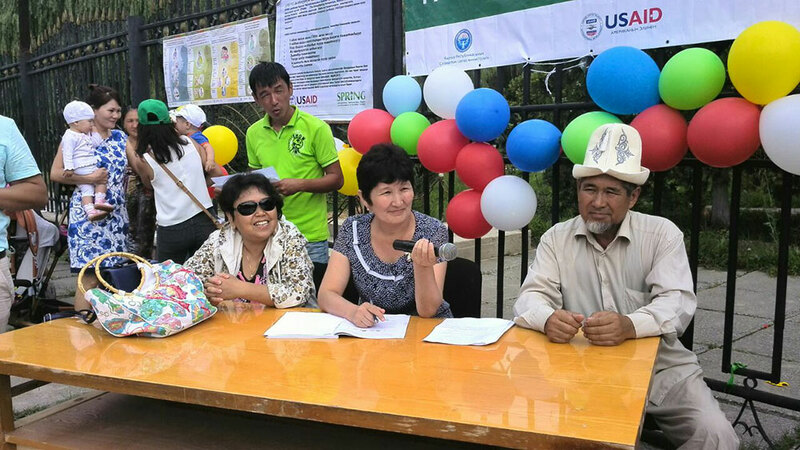 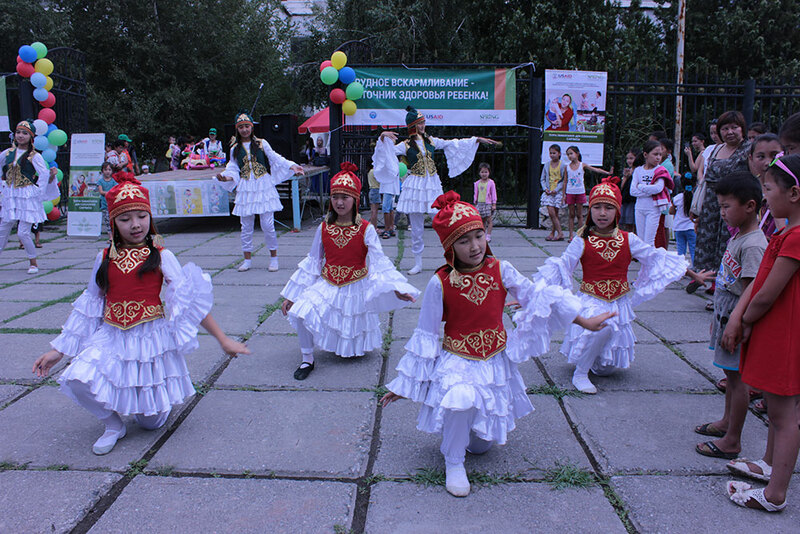 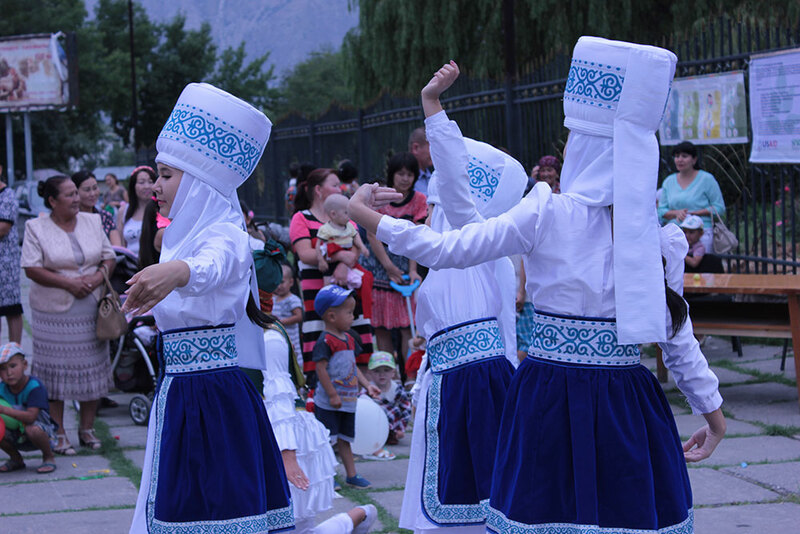 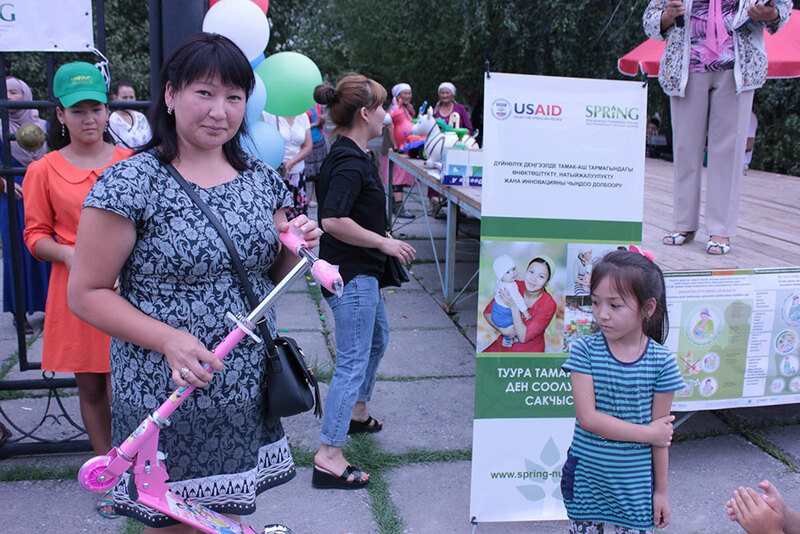 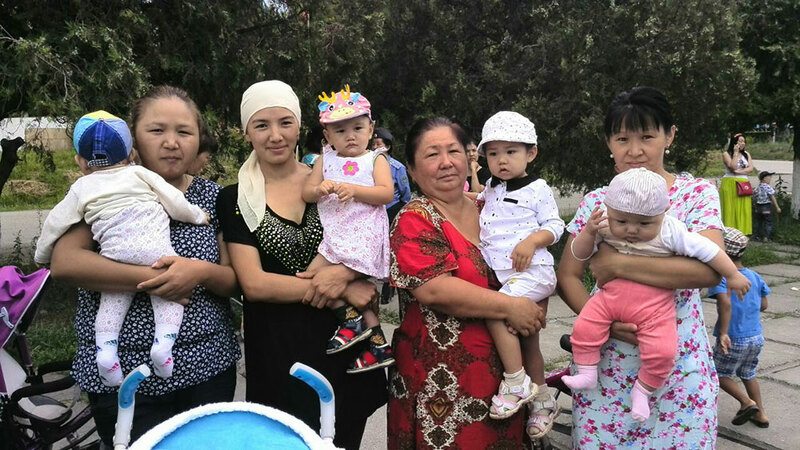 Through this event and its other work, SPRING/Kyrgyz Republic promotes sustainable nutrition practices and works to increase access to quality nutrition services through training of healthcare providers on infant and young child feeding. 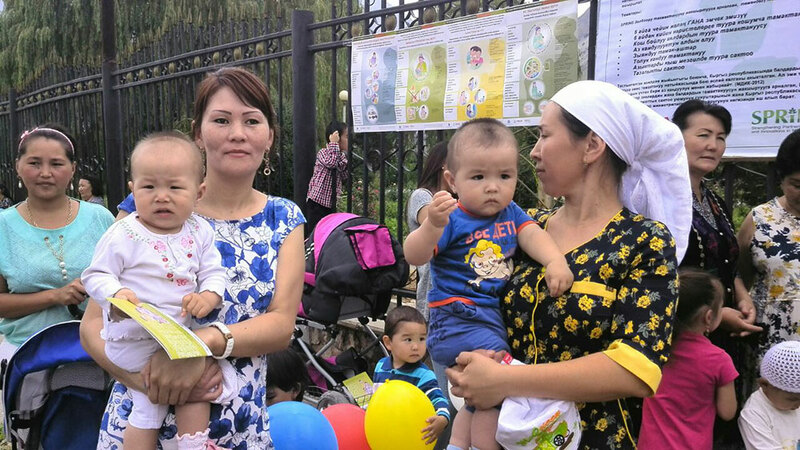 Learn more about SPRING’s breastfeeding resources.